There is no better way than learning one of the most spoken languages in the world while enjoying the beauty of Lisbon and its light! 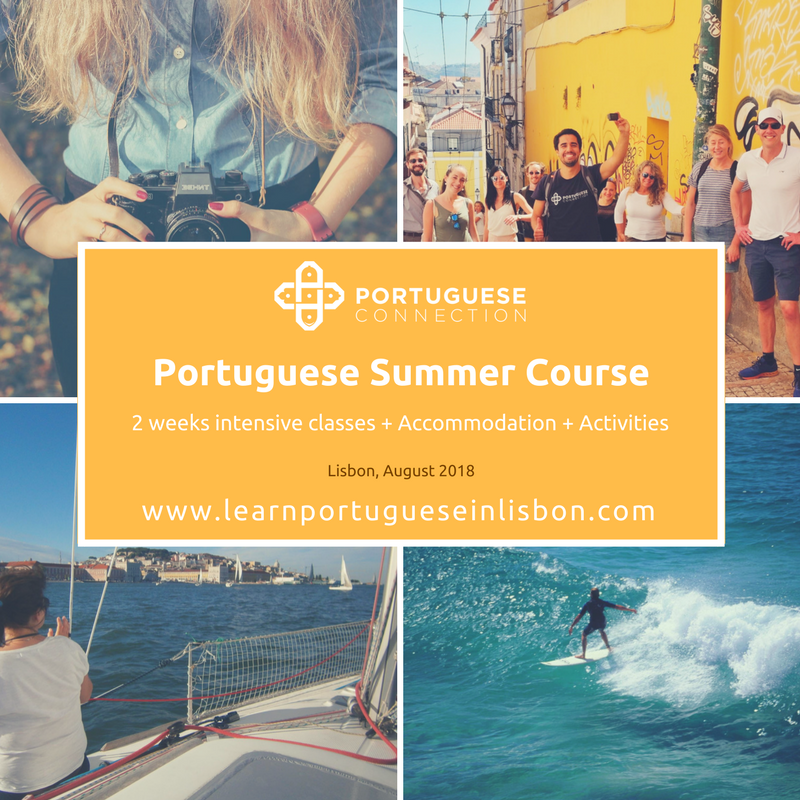 Portuguese Connection School offers an exciting Portuguese Summer Course, the most enjoyable way of learning portuguese in Portugal, where throughout 2 weeks in August, you can immerse yourself in Portuguese language and culture, by attending intensive group classes in the morning in combination with various cultural activities in the afternoon (or full-day activities on weekends) that will make your journey unforgettable! Mornings consist of intensive reading, writing, listening and speaking classes (from 9am to 1pm), and in the afternoons you will get additional opportunities to practice your language skills participating into exciting recreational and social activities. On weekends, visit the beautiful historic sites, beaches and museums Lisbon is famous for. The city really comes alive in summer with many festivals and events you don't want to miss! Since we know that looking for a two-week accommodation during the summer can be very challenging in the capital of Portugal, we also take care of arranging a pleasent accommodation during your stay! We offer to our students a private room with private bathroom in a central and amazing student residence! In other words, we take care of everything! Are you still not sure if you want to be part of this amazing experience? We can help you with that! Please check the unique testimonials of our students! Our students simply love to learn Portuguese at Portuguese Connection School! Improve your Portuguese and bring back home good memories made of new words, flavors, sounds and colors from Portugal!